The problem that comes up is when you talk about Korra in any public space, you may hear the series called garbage or bad. And almost every time, I find myself pointing out just because it’s not as good as the first series, doesn’t make it awful. I know garbage long-form series. Hell, I like – love! – Robotech, and Robotech, if you go back and watch it again, is piss. At a convention recently, someone looked at our merchandise, and expressed surprise joy they were seeing Korra merchandise – then they immediately corrected themselves saying it’s a shame she’s in a show that’s garbage. When I rebuffed that – saying that I thought the show was pretty good, they then recorrected – that the show wasn’t garbage, it’s just that it wasn’t as good as Avatar: The Last Airbender. It probably could never be. There are a lot of problems with Korra. I want to talk some more about them. 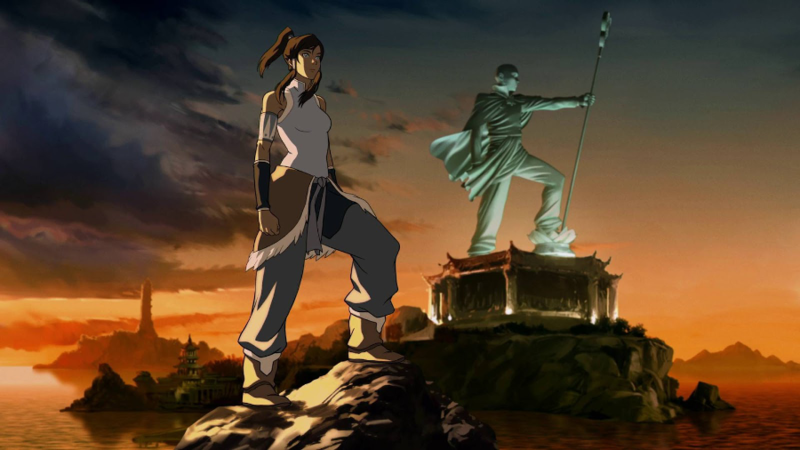 I want to talk about Korra in general – because it’s a series I love and there’s a lot there. But here’s the basic problem: Korra is a series that will be forever seen in light of not being Avatar. 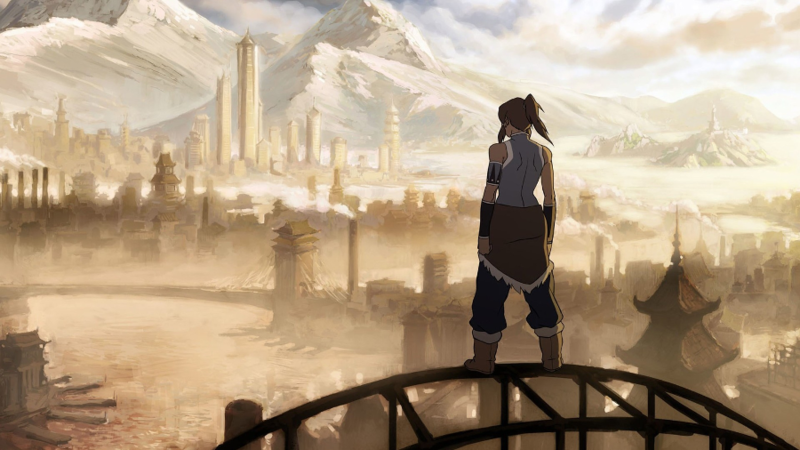 I think the things that make Korra fail are mostly extrinsic to the story – that the story had to be condensed or decisions had to be made based on demands or changes in the production schedule, but the things that the story did that I really liked were typically intrinsic – meaning the story’s failures feel like someone else’s fault, while the things that I think are excellent within the story are exactly what the story’s trying to do. This is the core of Korra (hah) for me. Korra is a series that I will go into bat for because the storytelling machinery, the ideas within the story and the mechanisms of the story show you what a thing could have been if it hadn’t been constrained, hadn’t been curtailed by the structures around it. One of those things that curtailed it, however, was the people paying for the show’s existence also paid for Spongebob Squarepants, a series that is known for being a marketing and merchandising juggernaut. That means that whatever Korra did, it was going to have to live up to an impossible standard to its paymasters, and then, an impossible standard to its potential fans.